A wide variety of menus for all tastes. Open air car park in our premises. 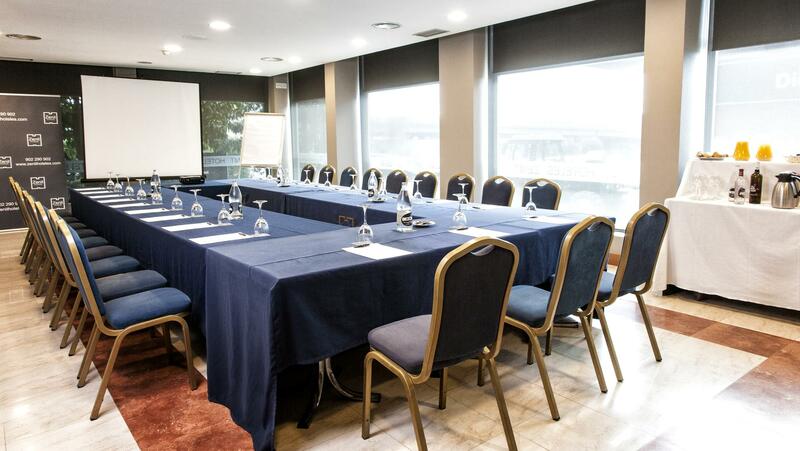 We can provide you with all the technical and human resources necessary for your business meetings, conventions, presentations, training courses and celebrations. 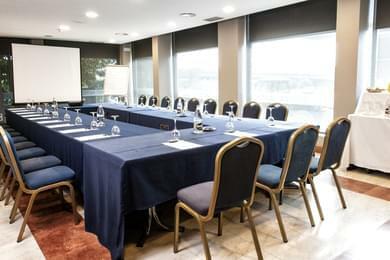 The Zenit Logroño Hotel has appropriate rooms to hold presentations and other functions such as banquets and group luncheons. 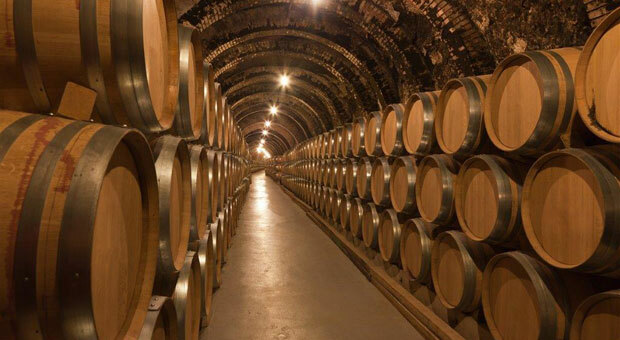 Both the Viura and Garnacha rooms have natural light and are pleasantly decorated, and they have a maximum capacity of 60 people. The following technical resources are also available. 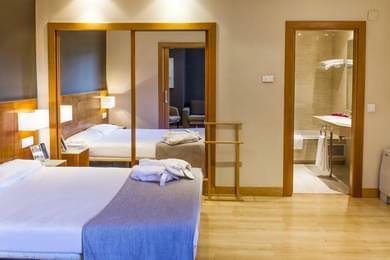 The 56 rooms of the Zenit Logroño Hotel have been recently decorated and are comfortable spaces with a full range of services. The hotel is a three star establishment, with contemporary decor and a full range of services and facilities, with the technical facilities to ensure to comfort and wellbeing of its guests. 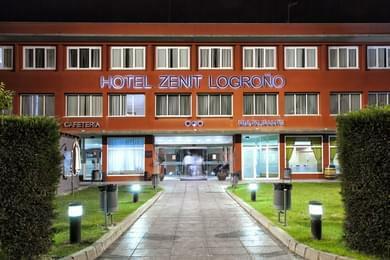 The Zenit Logroño Hotel serves a delicious and hearty continental breakfast buffet, where you can enjoy the most appetising dishes. We also offer a special gluten free breakfast. 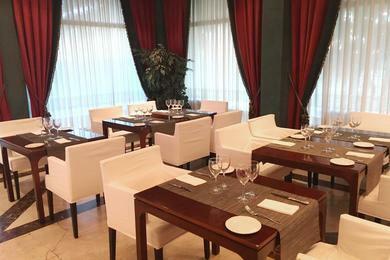 The hotel also has its own restaurant, the Malvasía, where you can try out the exquisite local La Rioja cuisine. At the Malvasía Restaurant, fine cuisine is assured both in its menu's dishes and in the daily menu that has more than 60 choices. The restaurant's success lies in its use of local produce from La Rioja and in the skill of the kitchen staff working behind the scenes. The 56 rooms are ample and modern, designed for you to enjoy your stay, with wooden floors, free Wi-Fi, TV with international channels, minibar and full bath. Everything you need! And if you do need something else, just ask our staff. 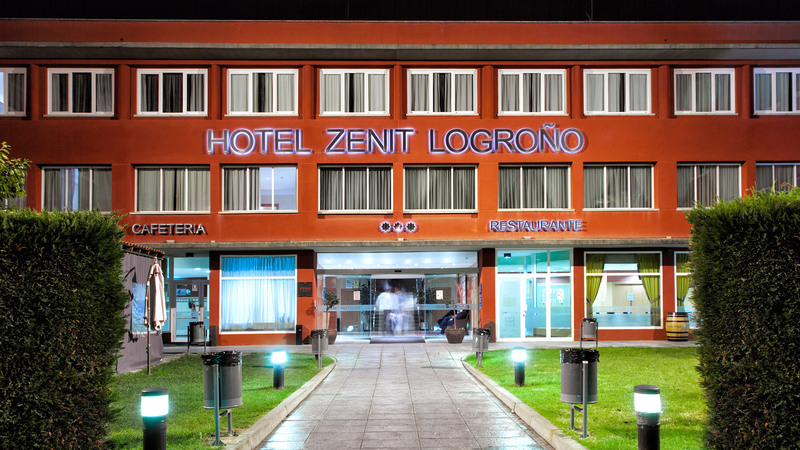 They are always ready to help and provide the services you need to make everything perfect during your stay at the Hotel Zenit Logroño.